While Canada and the US suffer a deep freeze that forces them to drive around in full snow gear even with the heat blasting in their cars, we arrive in Bequia, thankful to not have to experience any of this freaky cold snap. This place gives us a warm and fuzzy feeling every time we visit. So no more talk about cyclone bombs and windchills for a minute! Not here. 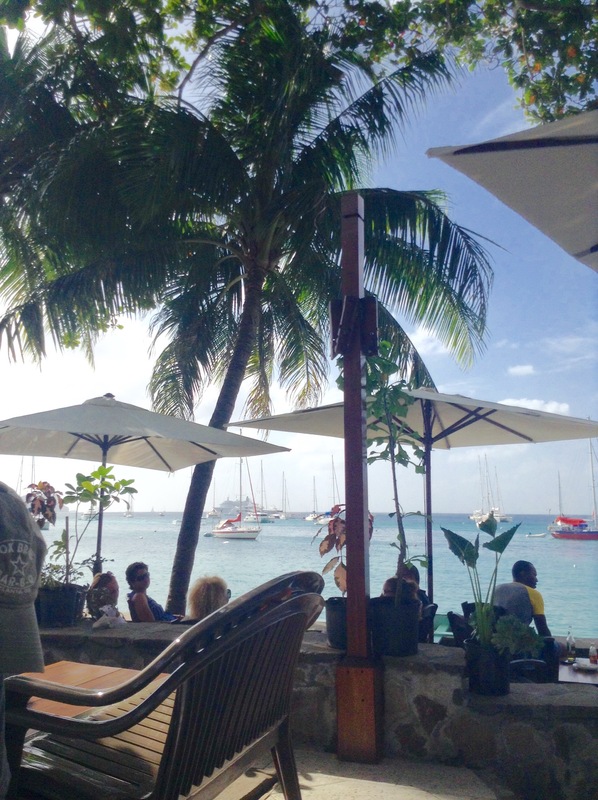 Bequia is the place you go to for serious chill time. For the sailors out there, Bequia is loaded with talented trades to assist with sails, mechanics and a couple of chandleries that are well stocked for all your DIY and accessories. Oh and there’s the food. 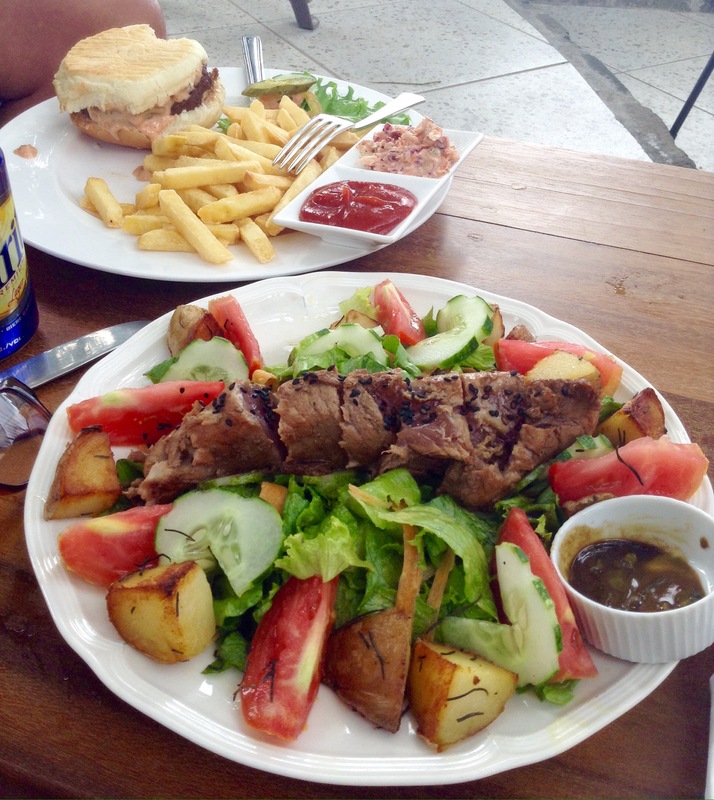 This salad with seared tuna and roast potatoes was impossible to resist. The waterfront has a cute wrap around stone walkway that takes you past every dining option you can think of. For us it was a great place to recharge and feed our faces. 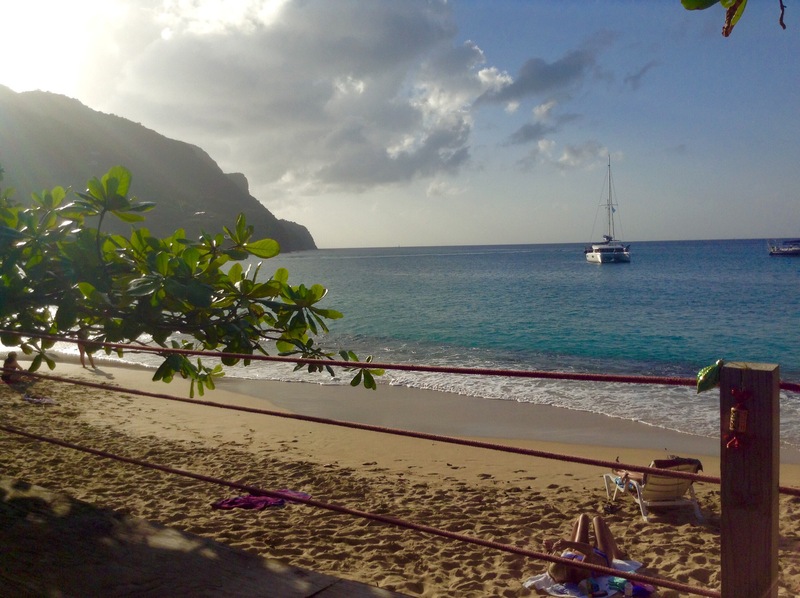 For more on Bequia click here, an island we never pass by! Prev Mayreau – an island we L.O.V.E.